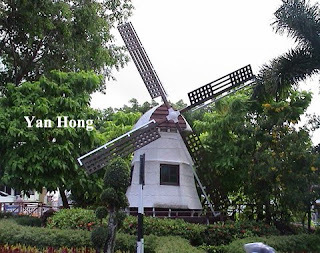 The Malacca Dutch Windmill is located at the Dutch Square in Malacca. It's facing the Tan Beng Swee Clock Tower. Actually, it's a miniature windmill. The Malacca Democratic Action Party had protested the construction of the windmill because of its unique shape. It looks like a male genital. 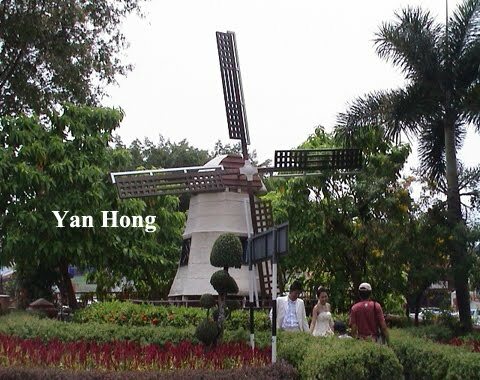 The windmill had turned into a popular photographic backdrop for newly married couples. They hope to have baby after taking photo in front of the windmill.